ARLC Chairman Peter Beattie has outlined his plans for the future. 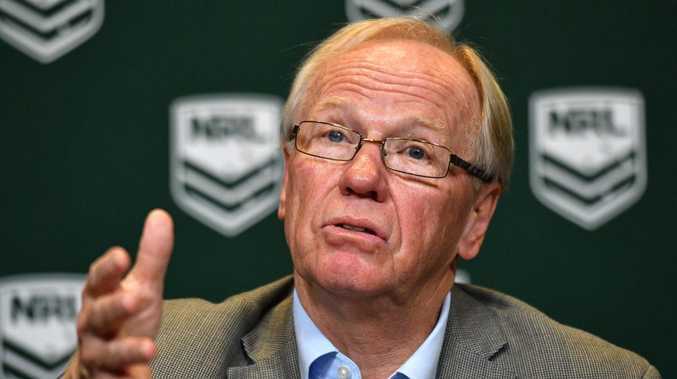 PETER Beattie has set a clear path for rugby league after overseeing his first full season in charge of the ARL Commission. From expansion to revamping punishments for salary cap cheats and poor player behaviour, Beattie has shed light on his vision for the game's direction. After replacing John Grant in February, Beattie has made himself a promise. "John Grant was there for six years," Beattie said. "I won't be. I want to be there for a much shorter time but to ­actually make a difference. "Longevity doesn't mean anything. It's what you do while you're there." "Expand or die" was one of Beattie's first phrases when he became chairman. He had a desire to bring more teams into the NRL but that has proven to be more problematic than anticipated. Now he is changing course when it comes to how expansion would work. "It's a lot harder than I first thought," Beattie said. "It's one of the reasons why I'm pushing so hard in other areas. We can't be landlocked in two states. "Domestic expansion is a tough one for us. We're trying to do that through State of Origins in Melbourne, Perth and Adelaide. "Our challenge is we have to work with our broadcast partners. To see where the teams are and where they can be. We have to work with the broadcast cycle. "I've said to the clubs and CEOs, if anyone falls over we won't fund them. We will have to look at where they are. "Bearing in mind how much money we give above the salary cap, there is no why reason a club should fall over." 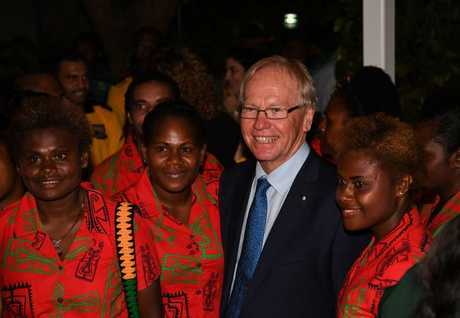 Beattie, who was in PNG last week, heads to Fiji this week with a plan to push international football in the Pacific. 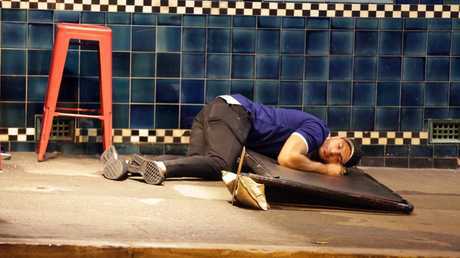 From Canterbury's Mad Monday to incidents involving Sam Burgess and Greg Inglis, recent events have again tarnished the game. 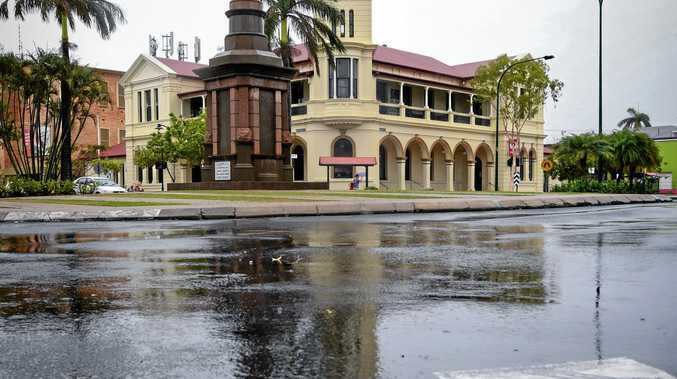 Beattie has tasked chief operating ­officer Nick Weeks and commissioner Tony McGrath to formulate a uniformed sanction policy. 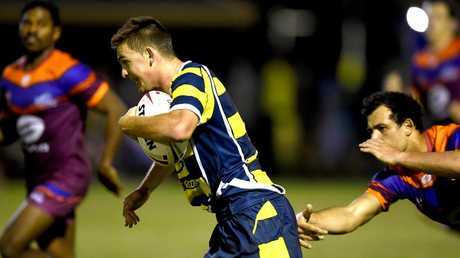 "Everyone in rugby league has to ­realise two things," Beattie said. "We are in a fish bowl and it's a choice. "When you are in the fish bowl we all get a level of scrutiny, you are never off duty. "Everyone has to know they are on show. It's not compulsory. "They are paid more than ever before and they should be because they are ­superstars. "We are working towards having a criteria (for punishments). There will be some discretion because it always comes down to facts. "If you have a rough criteria then no one will be surprised and, more to the point, no one will have excuses. "If we can't have consistency and regulation of these sorts of behaviour, we won't have a game." The maximum fine for salary cap cheating could be doubled as the NRL looks to implement a harsher punishment than the present $1 million limit. "We have to enforce the salary cap," Beattie said. "Anyone who thinks we don't is delusional. "We are the most even competition anywhere, we just have to stop people cheating. I'm not sure where it will end up. If we lose control of the salary cap, it destroys the game." Beattie described the impending merger between the NSW Rugby League and Country Rugby League as a must. "We need to look at pathways," Beattie said. "A lot of people don't have a view about touch (footy) but it's one way to build your fan base. We're working on a clear strategy to engage with touch. "We are still challenged in the 13 to 18 age group. That has to be a target for us. The extra participation money we will target this with coaches and the country. "One of the keys to this is women. If they can see women play this game and can be trained to be tackle properly and build their physical capacity, women are more likely to say to their kids, 'you can play rugby league'. "At the end of it all - I'm not trying to be sexist - mums will make the decision. It happened in my family. "Expanding the women's game is not just about expanding it for all the right reasons, it's about building the men's game."